Hello friends! Today I have a very springtastic post for you. The Lilypad Lacquer Spring Sorbet collection was recently released exclusively over at Llarowe, and being the pastel holo lover that I am, I couldn't resist snagging all of them. I swatched the entire collection individually and will post those pics up shortly, but today I want to share a cute skittles mani I did with all of the pretties. 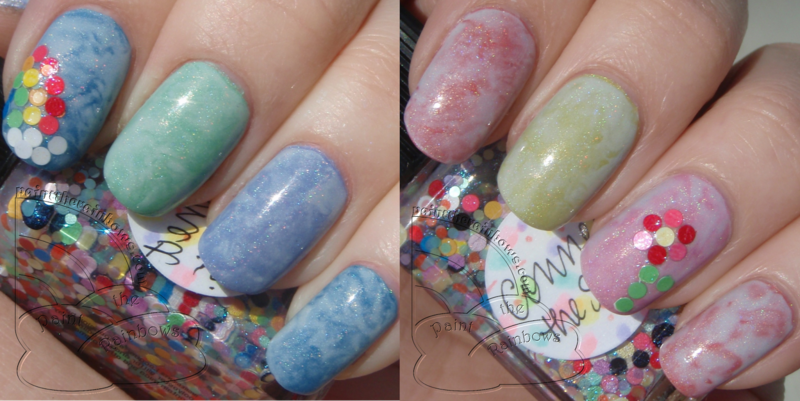 I started out with three coats each of Sherbet (blue), Minty (green), Passion (purple), Peachy (peach/coral), Musky (pink), and Lemony (yellow). I then used the Saran wrap method (topcoat, then layer on the top color, then dab with Saran wrap to create a marbled effect) with In The Milky Way, a grayish white creme holo with the same holo effect as the others. 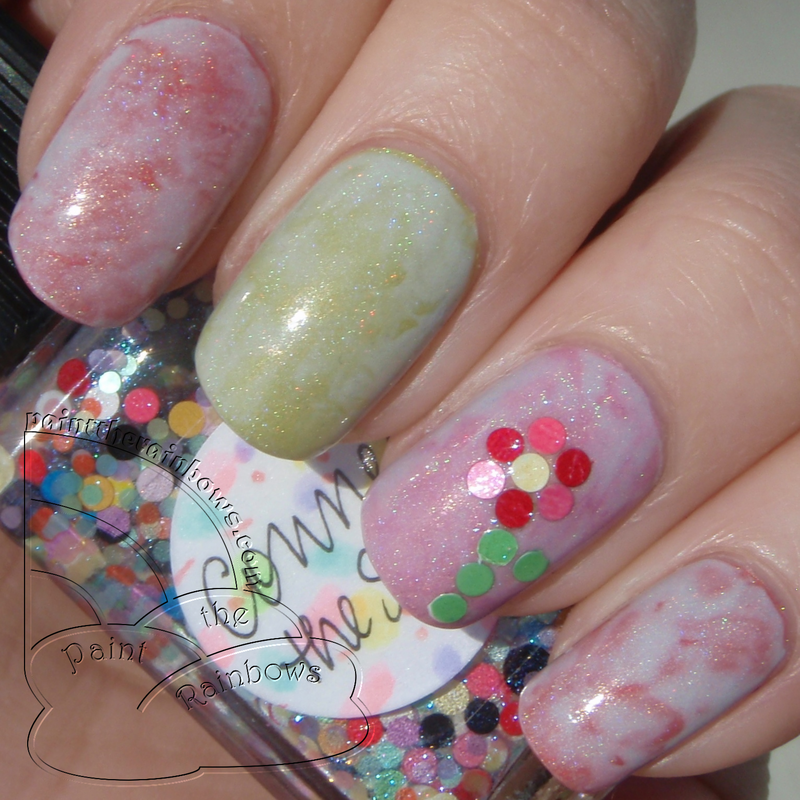 Finally, mostly because I was bored, haha, I used my dotting tool to individually place glitters from Lynnderella Connect the Spots, a multicolor dot glitter mix in a shimmery clear base, in a rainbow design on one hand and a flower design on the other. Take a look! 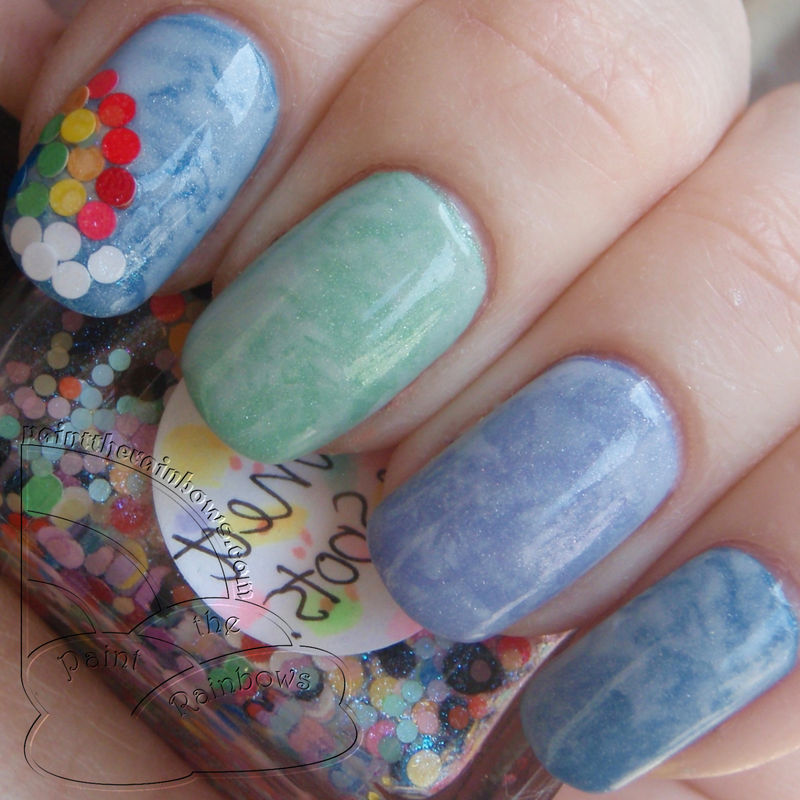 I really loved this mani! Super cheerful and colorful and definitely very springy. I really like the method of using glitters in this way - this was the first time I've done it, but I definitely want to again! 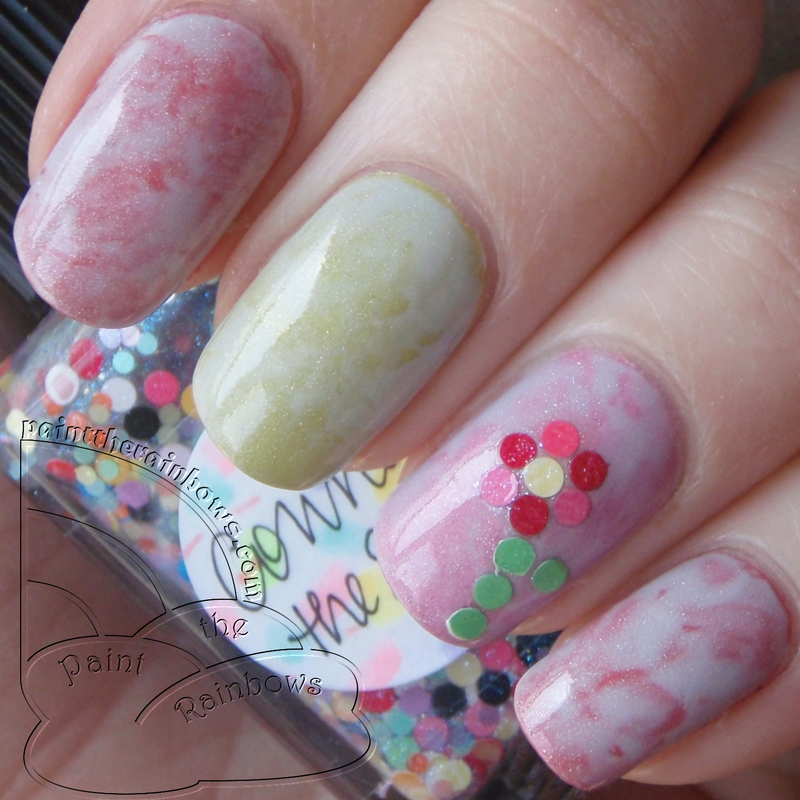 A great way to add an extra poppy slash of color to a mani. A very pretty spring look.